The side plank is a great oblique exercise. It is great for core stabilization because it works the obliques and the lower back muscles at the same time. The regular plank is a very popular core stabilization exercise, but in order to be well-rounded you must train your core muscles in many different planes of movement. Many of the most popular core exercises focus on moving front to back, but it is just as important to focus on side-bending and twisting motions for the obliques and lower back. Below are pictures of the side plank exercise. Starting Position: Start by balancing on your elbow and your feet. Place your foot that is closest to the ground in the front, and keep your body in a straight line. Form: Hold for 10-30 seconds and repeat on the other side. 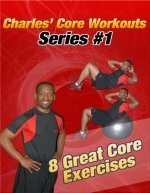 Personal Trainer Tips: This core exercise has a few variations. #1 Foot position: You can stack your feet one on top of the other to challenge your balance even more. #2 Top hand position: You can also place your top hand on your hip to make it easier to balance. #3 Bottom arm position: You can make this exercise a little more challenging by balancing on your hand and feet. These variations are isometric exercises for the obliques and back muscles. The side plank focuses on isometric core stability, but there are many other ways to strengthen your obliques. Learn another great oblique exercise, and mix up your workout from time to time to challenge your muscles in varied ways.